Building on previous StreamSocket-related posts http://babaandthepigman.wordpress.com/2012/04/07/streamsocket-example-c-metro/ and http://babaandthepigman.wordpress.com/2012/10/12/metro-app-and-kinect-voice-control/ which use socket code for Windows Store apps and for Windows 8 desktop I decided to try the code on Windows Phone 8. I have recently bought a Lumia 920 so am now in a position to try it out. Just to recap the ‘Streamsocket example c# metro’ post contains code to send/receive messages between Windows Store applications. 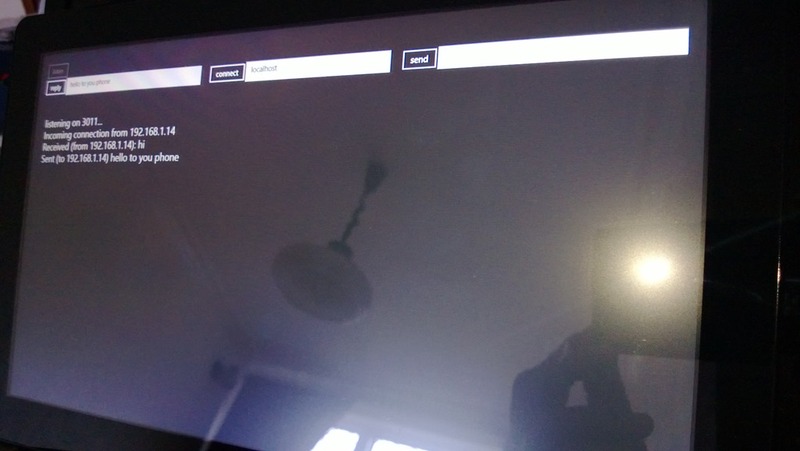 Since these APIs are also available from the Windows 8 desktop the ‘metro app and kinect voice control’ post reused that code to communicate between a Windows Store app and Windows 8 desktop app (WPF). 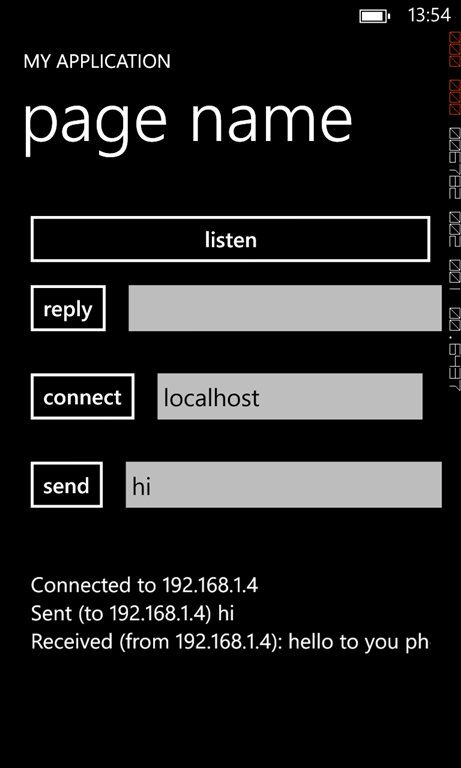 Changed the Message dialog code. This was just a quick experiment and I’m feeling bad about not refactoring into a Portable Class library but hopefully will get around to that soon.